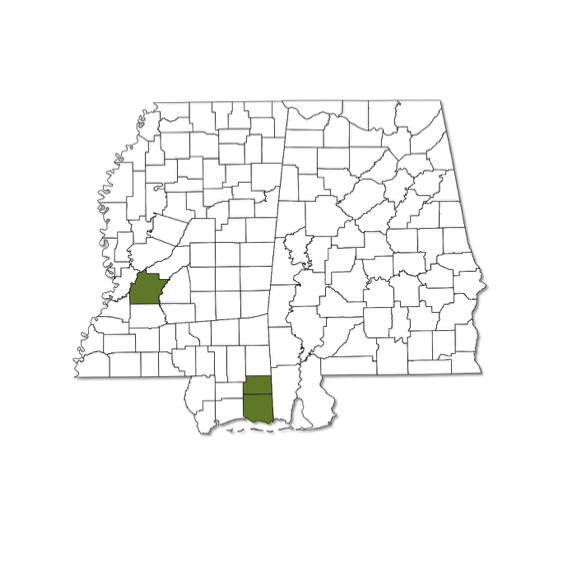 Known from only three counties in Mississippi and not yet documented in Alabama. 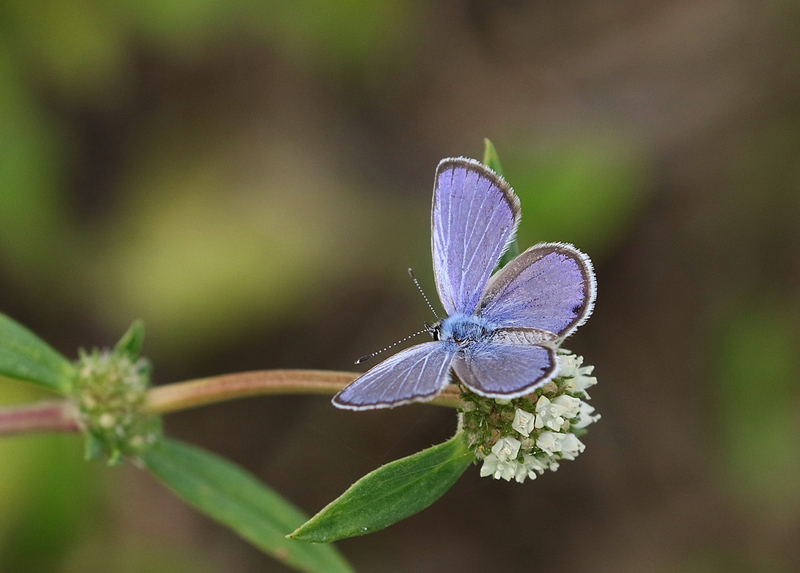 Dorsal surface of wings blue in males and brown with some basal blue in females. Ventral surface of wings light gray with subdued markings except for three/four conspicuous dark spots at base and leading edge of hindwing. With one to three eyespots along submarginal area of hindwing.